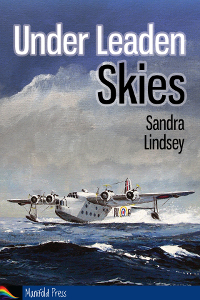 So, Under Leaden Skies was released yesterday. I find I’m feeling a lot more higgledy-piggledy about it than I thought I would… I mean, I’ve known these characters for 4 years! I put their story to one side for at least 2 years, but still they nagged at me, and I’ve been wanting to share them and their story with other people for so long… but now I’m a little bit dazed and, yes, worried, about what others might see in ‘my’ characters that I didn’t see myself. I just need to let go. They’re not mine now, if they ever were. They’re out there, on their own, ready to meet everyone who cares to spend the time to read their story. The main thing, that I didn’t expect though? Is that I’m currently feeling very glad that I’ve not yet started drafting the sequel. I think I needed that little bit extra push to let go of them so that I can let them grow into the people they become later in their lives.